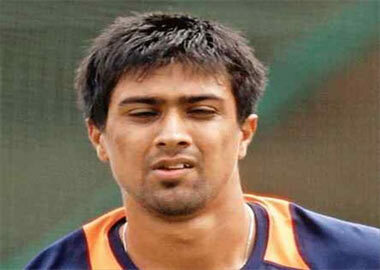 Indian cricketer Rahul Sharma, will not called from Sri Lanka tour. BCCI is not in the mood for action very soon in the matter of Rahul tested positive in drugs test. The first police report will be forwarded to the doping committee of the BCCI. Then only action will be taken. In Hambantota on the first evening of game of the series, Indian team took a battering when the young leg spinner and South African captain Wayne Parnell tested positive in the drugs test. The IPL cricketer Wayne Parnell, who played from Pune Warriors and Rahul Sharma, on May 20 in the suburbs of Juhu rave party, had taken drugs. They include in the party of those 42 people were tested positive for drugs were found. Police said that in May, in Juhu, in the Oakwood Premier Hotel, 44 blood samples report from 90 people they received. On the other hand, former Indian cricket captain Sourav Ganguly said that, Rahul might inadvertently have made a mistake. And also he said that because of this offense he should not lose his place in national team.